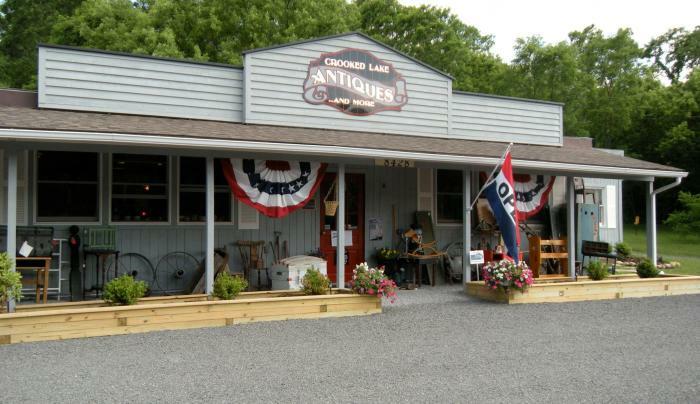 At Crooked Lake Antiques in Hammondsport NY, we offer a variety of quality antiques including furniture, jewelry, primitives, Carder Steuben glass, linens and more. Visitors to Hammondsport and Keuka Lake will find us 1/2 mile south of the light on Route 54. We're only a few doors beyond the beautiful Best Western Plus Hammondsport. 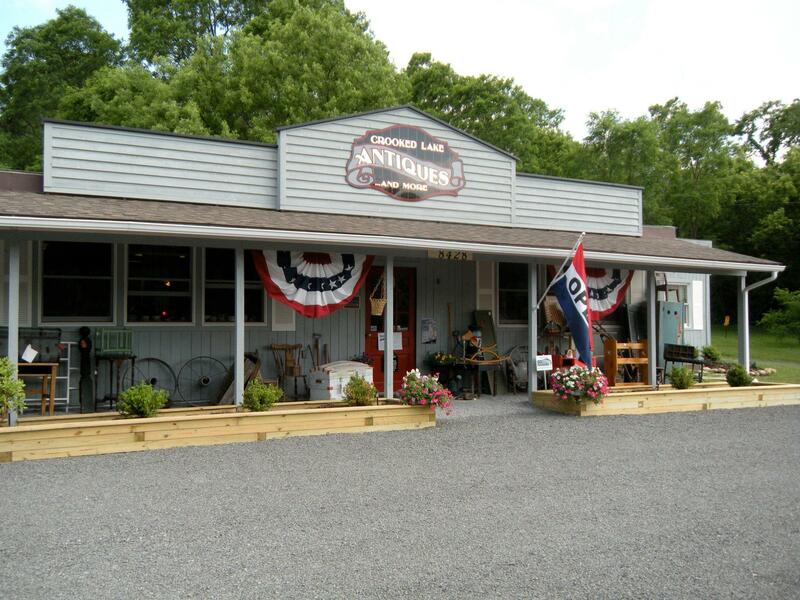 Come see one of the largest antique dealers in the area providing nearly 3500 square feet of interesting items. We are known for our huge changing inventory, fair prices and massive in-and-out parking lot. When you're in Hammondsport come see us and plan on finding something special.